Peter Monteverdi and Erich Bitter had a great deal in commmon with each other. Both were racing drivers who imported Italian cars before they started to build cars with Italian bodies and both had to give up their work prematurely because they could not compete with the big car makers. Eric Bitter was born the son of a cycle maker in Schwelm in Germany in 1933. His career began as a professional racing cyclist but he quiclky became a driver with NSU, Volvo, Jaguar, Ferrari, Porsche, but most of all with Abarth. Alongside this he was also an importer of rally parts and equipment and later of Abarth and Intermeccanica sports cars. 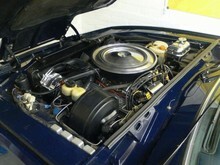 He began making cars based on the running gear of the more expensive Opels in 1969. When Bob A. Lutz, later to become the boss of Chrysler, ruled the roost at Opel, a "dream car" known as the Astra was developed jointly with the Italian coachbuilder Frua. 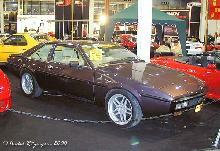 General Motors were concerned that this car would spoil sales of the Corvette, so the Astra project was cancelled. Bitter grabbed the opportunity to take over the design and built his first Bitter CD in 1972. The energy crisis stood in the way of large scale production of the V-8 powered car and up to 1979, only 400 were sold. When Opel stopped making the Diplomat, Bitter was forced to switch to parts from the Senator. The new car was known as the SC. The business failed in 1986 and Erich Bitter emigrated to the United States.